The Great East Japan earthquake was one of the most devastating natural disasters ever to hit Japan. We present features of the disaster and the radioactive accident in Fukushima. About 19,000 are dead or remain missing mainly due to the tsunami, but children accounted for only 6.5 % of the deaths. The Japanese Society of Pediatric Surgeons set up the Committee of Aid for Disaster, and collaborated with the Japanese Society of Emergency Pediatrics to share information and provide pediatric medical care in the disaster area. Based on the lessons learned from the experiences, the role of pediatric surgeons and physicians in natural disasters is discussed. Successive pediatric medical care in Rikuzentakata was carried out through the efforts of Drs. Naoki Shimizu, Osamu Saito, and Koutarou Ichikawa of the Japanese Society of Emergency Pediatrics. 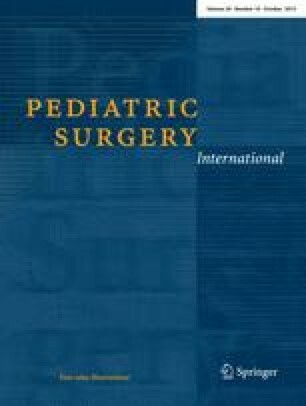 The pediatric surgeons Mitsugu Owari, Katsuji Yamauchi, and Takuya Kosumi of Nara Hospital, Kinki University School of Medicine also involved. We are particularly grateful to Dr. and Director Mikihito Ishii and members of Iwate Prefectural Takata Hospital for their hospitality in Rikuzentakata. Finally, we would like to express our sincere appreciation and respect to all the people of the world who prayed for and donated to the victims.